The USA has so much to offer! Such a large area and so diverse. From mountains and beaches, to canyons and lakes, and wide open spaces to busy city centers, the USA has everything a traveler could ever want. You can't visit the USA without experiencing the bustling streets of New York, its broadway shows and world-class shopping, diverse culture, and excellent cuisine. 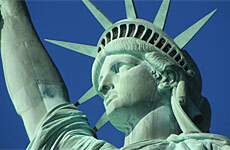 Be sure to visit the Statue of Liberty, Times Square, Rockefeller Center, and the Central Park Zoo. 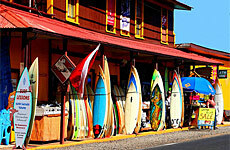 California, with its many adventure parks, like Disneyland, SeaWorld, Universal Studios, and Legoland, and booming film industry, is also known for amazing beaches. Make sure to check out Huntington Beach and the Santa Monica Pier! Hollywood and Beverly Hills is home to the stars. You're sure to see celebrities! 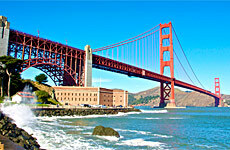 Northern California is famous for its wine regions. Napa and Sonoma Valley make world-class wine and are definitely worth touring. Hawaii is a great tropical island getaway! 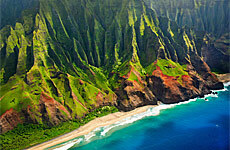 Choose laid back Maui, lounging on the beaches and driving the Hana Highway. 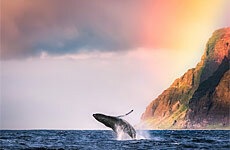 Visit Oahu, staying in touristy hot spot Honolulu, with its famous Waikiki Beach, the aquarium, Diamond Head, Pearl Harbor, and Hanauma Bay's snorkeling. The Big Island is also a great choice. 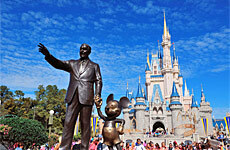 Florida is perfect for the beach-goer, and is home to Walt Disney World among other famous theme parks. 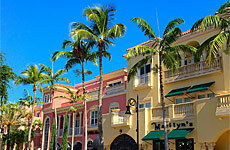 Miami is the perfect spot for nightlife and entertainment. 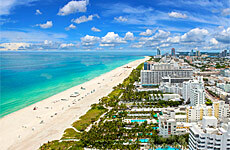 Don't miss South Beach! Vegas is known for glitz and glam! 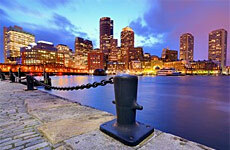 Explore all the luxury and theme hotels and try your luck in their casinos. 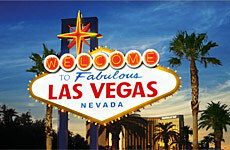 In Las Vegas you'll find amazing nightlife and shows, such as Cirque du Soleil, shopping, and attractions.